Along the Streets of Bronzeville examines the flowering of African American creativity, activism, and scholarship in the South Side Chicago district known as Bronzeville during the period between the Harlem Renaissance in the 1920s and the Black Arts Movement of the 1960s. Poverty stricken, segregated, and bursting at the seams with migrants, Bronzeville was the community that provided inspiration, training, and work for an entire generation of diversely talented African American authors and artists who came of age during the years between the two world wars. In this significant recovery project, Elizabeth Schroeder Schlabach investigates the institutions and streetscapes of Black Chicago that fueled an entire literary and artistic movement. She argues that African American authors and artists--such as Gwendolyn Brooks, Richard Wright, Langston Hughes, painter Archibald Motley, and many others--viewed and presented black reality from a specific geographic vantage point: the view along the streets of Bronzeville. 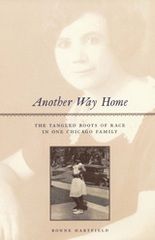 Schlabach explores how the particular rhythms and scenes of daily life in Bronzeville locations, such as the State Street "Stroll" district or the bustling intersection of 47th Street and South Parkway, figured into the creative works and experiences of the artists and writers of the Black Chicago Renaissance. “Perhaps,” wrote Ralph Ellison more than seventy years ago, “the zoot suit contains profound political meaning; perhaps the symmetrical frenzy of the Lindy-hop conceals clues to great potential power.” As Ellison noted then, many of our most mundane cultural forms are larger and more important than they appear, taking on great significance and an unexpected depth of meaning. What he saw in the power of the Lindy Hop—the dance that Life magazine once billed as “America’s True National Folk Dance”—would spread from black America to make a lasting impression on white America and offer us a truly compelling means of understanding our culture. But with what hidden implications? In American Allegory, Black Hawk Hancock offers an embedded and embodied ethnography that situates dance within a larger Chicago landscape of segregated social practices. Delving into two Chicago dance worlds, the Lindy and Steppin’, Hancock uses a combination of participant-observation and interviews to bring to the surface the racial tension that surrounds white use of black cultural forms. 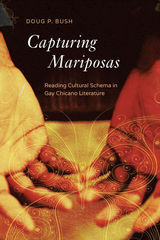 Focusing on new forms of appropriation in an era of multiculturalism, Hancock underscores the institutionalization of racial disparities and offers wonderful insights into the intersection of race and culture in America. Every May, a sea of 250,000 people decked out in red and white head to Chicago’s Loop to celebrate the Polish Constitution Day Parade. In the city, you can tune into not one but four different Polish-language radio stations or jam out to the Polkaholics. You can have lunch at pierogi food trucks or pick up pączkis at the grocery store. And if you’re lucky, you get to take off Casimir Pulaski Day. For more than a century, Chicago has been home to one of the largest Polish populations outside of Poland, and the group has had enormous influence on the city’s culture and politics. Yet, until now, there has not been a comprehensive history of the Chicago Polonia. In her prologue to Another Way Home, Ronne Hartfield notes the dearth of stories about African Americans who have occupied the area of mixed race with ease and harmony for generations. Her moving family history is filled with such stories, told in beautifully crafted and unsentimental prose. Spanning most of the twentieth century, Hartfield's book celebrates the special occasion of being born and reared in a household where miscegenation was the rule rather than the exception—where being a woman of mixed race could be a fundamental source of strength, vitality, and courage. Hartfield begins with the early life of her mother, Day Shepherd. Born to a wealthy British plantation owner and the mixed-race daughter of a former slave, Day negotiates the complicated circumstances of plantation life in the border country of Louisiana and Mississippi and, as she enters womanhood, the quadroon and octoroon societies of New Orleans. Equally a tale of the Great Migration, Another Way Home traces Day's journey to Bronzeville, the epicenter of black Chicago during the first half of the twentieth century. Here, through the eyes of Day and, ultimately, her daughter, we witness the bustling city streets and vibrant middle-class culture of this iconic black neighborhood. We also relive crucial moments in African American history as they are experienced by the author's family and others in Chicago's South Side black community, from the race riots of 1919 and the Great Depression to the murder of Emmett Till and the dawn of the civil rights movement. Throughout her book, Hartfield portrays mixed-race Americans navigating the challenges of their lives with resilience and grace, making Another Way Home an intimate and compelling encounter with one family's response to our racially charged culture. From award-winning author Barrie Jean Borich comes Apocalypse, Darling, a narrative, lyric exploration of the clash between old and new. Set in the steel mill regions of Chicago and in Northwest Indiana, the story centers on Borich’s return to a decimated landscape for a misbegotten wedding in which her spouse’s father marries his high school sweetheart. The book is a lilting journey into an ill-fated moment, where families attempt to find communion in tense gathering spaces and across their most formative disappointments. Borich tells the story of the industrial heartland that produced the steel that made American cities, but also one of the most toxic environmental sites in the world. 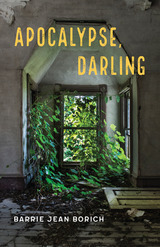 As concise as a poem and as sweeping as an epic novel, Apocalypse, Darling explores the intersection of American traditional and self-invented social identities and the destruction and re-greening of industrial cityscapes. Borich asks: can toxic landscapes actually be remediated and can patriarchal fathers ever really be forgiven? In a political climate where Borich is forced to daily re-enter the toxic wastelands she thought she’d long left behind, Apocalypse, Darling is an urgent collision of broken spaces, dysfunctional affections, and the reach toward familial and environmental repair. 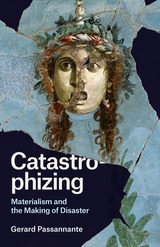 Winner of the 1998 Spiro Kostof Book Award from the Society of Architectural Historians. Chicago has always held a special fascination for those interested in architectural and urban history. For many, the defining moment occurred at the turn of the century when Chicago was booming and the world came to the city by the lake. But the story most often told in architectural history—the tale of single creative geniuses like Frank Lloyd Wright and Louis Sullivan—does little to explain the birth of the everyday modern city, with its high-rise downtown, diverse neighborhoods, and sprawling suburbs. This book connects architectural history with urban history by looking at the work of a major architectural firm, Holabird & Roche. No firm in any large American city had a greater impact. With projects that ranged from tombstones to skyscrapers, boiler rooms to entire industrial complexes, Holabird & Roche left an indelible stamp on the city of Chicago and, indeed, far beyond. 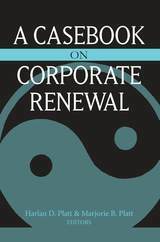 In this volume, the first of two on Holabird & Roche and its successor, Holabird & Root, Robert Bruegmann traces the firm’s history from its founding in 1880 to the end of the First World War. Incorporating meticulous research based on the extensive architectural holdings of the Chicago Historical Society, Bruegmann documents the firm’s work from the boom years of the 1880s through the period of sustained growth and innovation after the turn of the century. 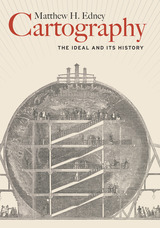 In chapters devoted to topics as diverse as downtown commercial and retail development, business hotels, civic buildings, automobile showrooms, and suburban clubs and housing, Bruegmann creates a sustained historical narrative that considers the profound interdependence of architecture and modern urban life. In the 1960s and early 1970s, Chicago witnessed a remarkable flourishing of visual arts associated with the Black Arts Movement. From the painting of murals as a way to reclaim public space and the establishment of independent community art centers to the work of the AFRICOBRA collective and Black filmmakers, artists on Chicago's South and West Sides built a vision of art as service to the people. 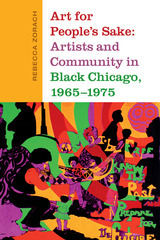 In Art for People's Sake Rebecca Zorach traces the little-told story of the visual arts of the Black Arts Movement in Chicago, showing how artistic innovations responded to decades of racist urban planning that left Black neighborhoods sites of economic depression, infrastructural decay, and violence. Working with community leaders, children, activists, gang members, and everyday people, artists developed a way of using art to help empower and represent themselves. Showcasing the depth and sophistication of the visual arts in Chicago at this time, Zorach demonstrates the crucial role of aesthetics and artistic practice in the mobilization of Black radical politics during the Black Power era. Sometimes it takes an outsider to capture the essence of an individual place. The impressions of travelers in particular have a special allure—unanticipated and serendipitous, their views get to the heart of a particular region because nothing to them is routine or expected. First published in 1933 by the University of Chicago Press to mark the occasion of the Century of Progress Exhibition, As Others See Chicago consists of writings culled from over a thousand men and women who visited the city and commented on the best and worst it had to offer, from the skyscrapers to the stockyards. 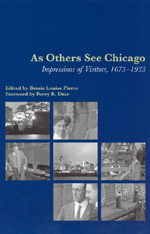 Originally compiled by Bessie Louise Pierce, the first major historian of Chicago, and featuring her own incisive commentary, the volume brings together the impressions of visitors to Chicago over two and a half centuries, from the early years of Westward Expansion to the height of the Great Depression. 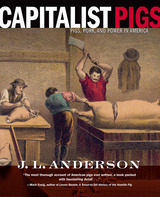 In addition to writings from better known personalities such as Rudyard Kipling and Waldo Frank, the book collects the opinions of missionaries, aristocrats, journalists, and politicians—observers who were perfectly placed to comment on the development of the city, its inhabitants, and well known events that would one day define Chicago history, such as the Great Fire of 1871 and the 1893 World's Fair. Taking us back to a time when Chicago was "more astonishing than the wildest visions of the most vagrant imaginations," As Others See Chicago offers an enthralling portrait of an enduring American metropolis.